Joining as litigation manager, Robert Chalfant brings more than 17 years of experience defending public entities and railroads on high profile claims in state and federal courts across California. Robert will assist clients on a case-by-case basis applying his extensive experience. He will work with city attorneys, county counsels and boards as needed. In addition, he’ll offer claims and litigation management training to JPAs, risk managers, adjusters and other personnel. Robert was formerly a partner at Cregger & Chalfant, where he defended civil matters since 2003. The majority of his cases involved civil rights claims and related state torts. 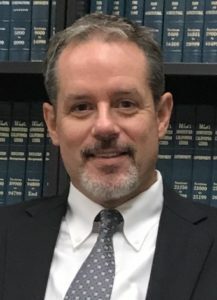 His broad expertise includes defending police misconduct cases, employment cases, personal injury and zoning and land use matters. Robert has tried numerous jury trials to verdict in both state and federal courts and argued appeals on behalf of public entities before both federal and state courts of appeal. Screening and monitoring of high exposure cases to support strategic decision making. Conducting creative factual investigations to analyze liability issues, establish defenses and limit liability. Addressing legal issues relating to the handling of tort claims, including rejections and returning claims for insufficiency and untimeliness. Monitoring outside counsel’s work and billings to lower defense costs and raise only meritorious defenses to liability and damages. Providing a “second opinion” to decisions to settle or proceed to trial. He is a member of the American Board of Trial Advocates (ABOTA) and has served as an adjunct faculty at Stanford School of Law’s Trial Advocacy Program since 2009. Jennifer has more than 27 years of workers compensation experience working with insurance carriers and third party administrations. She joins the George Hills team as a Business Systems Manager in information technology (IT). She has worked in all aspects of insurance and claims administration, and brings a unique perspective to her position. Jennifer oversees all SIMS data system issues and reviews system integrity as requested by end users and clients. She will also be working to ensure the most efficient way to collect critical data needed for reporting. Jennifer supports company and client technology needs striving for efficient and effective solutions to solve client challenges. Suzie has joined the George Hills team as client services manager and brings more than 30 years of experience with various TPAs and insurance companies, with the last 14 years at Athens Administrators and Gallagher Bassett Services. Suzie started her career in claims administration as an adjuster handling complex claims, litigation and investigative projects. She later became a claims supervisor with oversight of claims audits, training and team mentoring. After a promotion to account manager, she was responsible for client onboarding, program enhancement and communications between team members and clients. For George Hills, Suzie manages business relationships and is responsible for improving and maintaining customer retention, as well as facilitating internal and external communications. 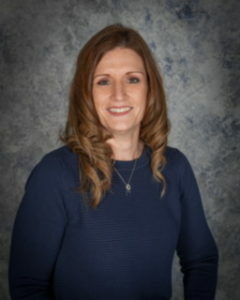 Suzie has proven to be an expert in evaluating and resolving issues to enhance performance and is an excellent mentor.